Compassion: feeling or showing sympathy and concern for others. I feel am fairly compassionate on most days yet this week showed me that could be something to flow and grow with a bit more. I love my Mama, we are a lot a like, and we get along very well most of the time. I’ve been there for my parents in healthy scares before and possibly “grew up” a bit soon for my age is what I have always been told. While that may be true, when parents get older it is a different ball game because they’ve changed how they are. They’re not only having a health change, their minds have changed, their memory have changed, and they are scared too. They may not say it or show, especially my Mama, the strong Mexican woman she felt she had to be her whole life, but there she is needing help and needing to change how she has lived for her whole life. There is a period of time when I feel frustration and anger if she is not listening and those are the exact moments when I need to change, take a deep breathe, and remember what she is going through. That has been the most challenging for me because she has always done things herself and never needed this kind of help. I had to take a step back and realize how much compassion she needs right now and let go of what I think needs to be happening. It’s a balance of change and patience. Good thing is she is doing really well, and I feel confident she will be better in health than the past twenty years as we navigate through all the changes. That is why I took another step back to also realize this week I needed to focus on helping my Mom and rest for myself rather than a recipe post, so hopefully things will get back on track with this tasty Sparkling Raspberry Ginger Limeade beverage, a sweet way to start the weekend and changes in life. It took a look from Brian to remind me of that. I was a little worried that I hadn’t been able to get work done with everything going on, and he looked at me for one moment and I knew it was time to let that go for a week. Add raspberries, sugar, water, and fresh ginger or paste to a medium saucepan, bring to a boil over medium high heat, then reduce to a simmer over medium low heat. Stir until the sugar has dissolved, mash the berries with a large spoon, stir to combine and cook for 2-3 minutes. Remove from heat, allow to steep and cool for 15-20 minutes. 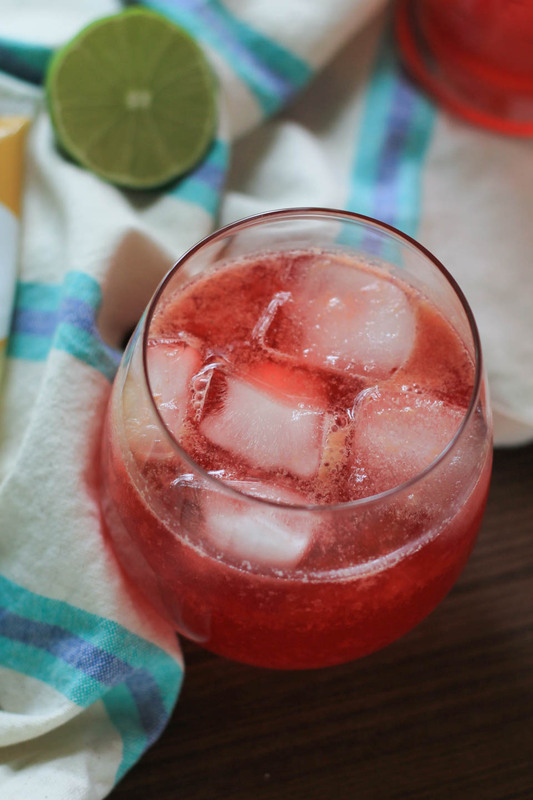 Add lime juice and club soda to raspberry ginger simple syrup, stir to combine well with a large spoon. Strain with a fine mesh strainer into pitcher. Place in fridge until chilled. Serve over crushed ice and store in fridge for up to 5 days. Oh MAN does this look so refreshing! 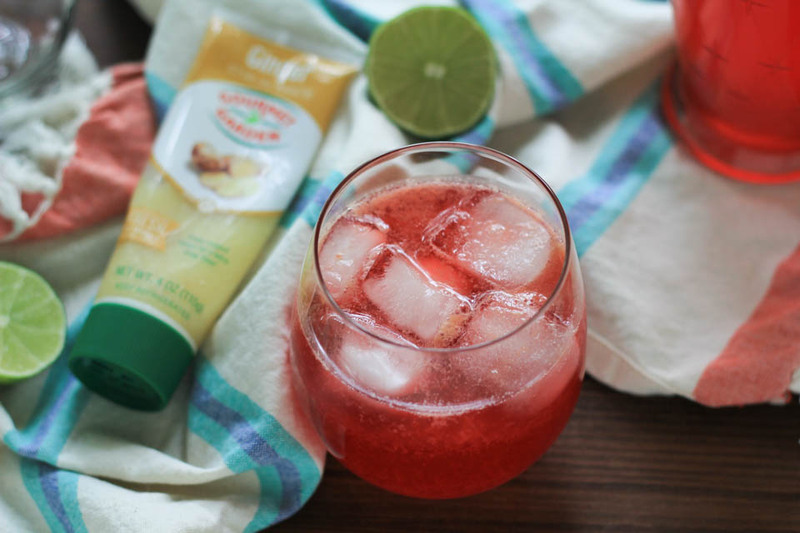 I absolutely love the addition of ginger to this limeade! It’s incredibly hot here and this would be so refreshing! Mmmm, a good reminder that compassion and empathy aren’t the same thing . . . and both are good. Also! This drink! Such an amazing combo! Oh I need that reminder often lately 🙂 Thank you! Raspberry and ginger sound delightful Fabi! This is my ideal summer drink!!! Pass me a glass!! Mmmm. 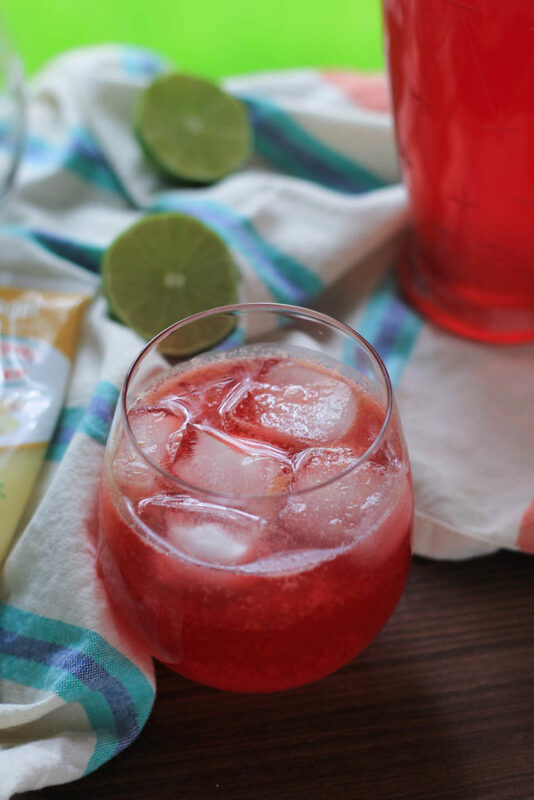 Raspberry limeade looks so yummy!